Radioactive soil in areas near Japan's crippled nuclear plant have reached the same level as Chernobyl, where a "dead zone" remains 25 years after the reactor in the former Soviet Union exploded. Soil samples in areas outside the 12-mile exclusion zone around the Fukushima plant measured more than 1.48 million becquerels a square meter, the standard used for evacuating residents after the Chernobyl accident, said Tomio Kawata, a fellow at the Nuclear Waste Management Organization of Japan. Radiation from the plant has spread over 230 square miles, the report said. Si les autorités japonaises décidaient de prendre un niveau de référence encore plus protecteur, par exemple celui de 10 mSv au cours de la première année, les doses externes évitées pour les populations concernées (70 000 personnes environ) seraient d’autant plus importantes que les délais d’exécution de l’évacuation seraient plus courts. Ainsi, une évacuation un an après l’accident conduirait à éviter 59% de la dose externe projetée pour cette population ; une évacuation 3 mois après l’accident permettrait d’en éviter 82%. He has no future in a free, democratic Libya. He must go. In particular, he committed to provide all relevant information regarding the nuclear emergency in a timely manner, and he ensured that products exported from Japan are safe. We stressed that measures on goods and travel should be based on scientific evidence. We also call on the IAEA to consider the relevant IAEA standards to identify issues that may warrant examination and revision in light of the Fukushima accident, and, in particular, to consider developing or improving additional standards for the construction and operation of nuclear power plants in seismically hazardous areas, as well as in areas that might be otherwise exposed to other external events, taking into account their integrated impact. In the Dec. 19, 2001, document - one double-sized page obtained by The Associated Press under Japan's public records law - Tokyo Electric Power Co. rules out the possibility of a tsunami large enough to knock the plant offline and gives scant details to justify this conclusion, which proved to be wildly optimistic. "This is all we saw," said Masaru Kobayashi, who now heads NISA's quake-safety section. "We did not look into the validity of the content." The education minister, Yoshiaki Takaki, said Friday that the government would, for the time being, revert to the original limit of 1 millisievert a year. “Visiting Fukushima Daiichi Nuclear Power Plant was a once-in-a-lifetime experience – once in 10 lifetimes, I suspect. Our team left with great admiration for the extraordinary workers who have been undertaking such immensely difficult tasks,” said team leader Mike Weightman, the United Kingdom’s chief inspector of nuclear installations. The mission's purpose is "to learn lessons so we can improve nuclear safety...and nuclear trust around the world," Mr. Weightman said to reporters. Permettre que des enfants soient exposés à de telles doses de rayonnements est révoltant et inhumain. 上記タイトルの拙著が、緑風出版（⇒　http://www.ryokufu.com/top.html　）から今月内にも刊行されます。　（４６版　本文２７６頁、定価　１７００円＋税）　カバー（表紙）の画像です　⇒　http://onuma.cocolog-nifty.com/.shared/image.html?/photos/uncategorized/2011/05/24/05_24_0_convert_201105241105141_2.jpg"
Before entering the shelter, a converted gymnasium, Mr. Kan steered the group to a table displaying strawberries, cucumbers and other produce grown in Fukushima Prefecture. The leaders, who did not appear to have been surprised by the photo op, smiled and nibbled gamely. “Very delicious,” Mr. Wen said. We, the leaders of Japan, the People's Republic of China, and the Republic of Korea, discussed the recent tragic earthquake and tsunami and the nuclear accident which hit Japan. We now reaffirmed the utmost importance of strengthening nuclear safety and continue to safely operate nuclear facilities with the maximum level of transparency. In addition, we also decided to start discussion on establishing early notification framework in case of emergency and exchanging experts, and to contemplate on exchange of information regarding the analysis and forecast of air flow trajectory on a real time basis in case of a nuclear accident. 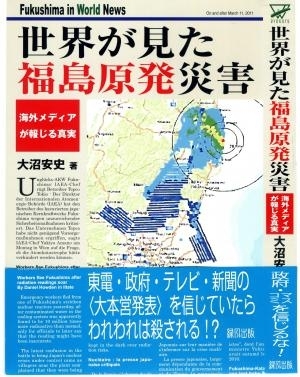 The mystery about the first tense days after the quake and tsunami struck deepened yesterday with Mr Edano's revelation that his government had not received computer-generated estimates of radiation dispersal on 12 March. The government spokesman said a fax of the estimates was not passed on to either him or the Prime Minister, Naoto Kan. Critics have accused Tepco and the government of colluding to hide the data, which could reveal high radiation over Tokyo and other areas. At his few meetings with the press, his gnomic, robotic replies had journalists scratching their heads. He took nearly a month to visit Fukushima, home to the crippled plant, where the prefecture's governor angrily snubbed him. "It (the Fukushima nuclear emergency) is a very serious accident and it still continues," said Yukiya Amano, director general of the International Atomic Energy Agency (IAEA). If the venting systems had worked as designed they would have prevented extensive damage to containment from the devastating hydrogen explosions witnessed at the Fukushima nuclear plant. Hey,can you tell me, How I can make a change ? At the session, Japan's vice-minister for health Kouhei Otsuka said "the number of deaths from radiation is zero for the moment," noting that his government evacuated some 85,000 people from the area affected by the disaster. "We do not think the radiation in Japan will contribute to an increase risk of cancer and leukemia," he said, adding that there is need "to study the issue very closely." …… if the kids were outside they would be exposed to adult nuclear worker levels of concentration. That's unconscionable that that school should be kept open. Government officials have also suggested that one of the primary causes of the explosions was a several-hour delay in a decision to use the vents, as Tokyo Electric managers agonized over whether to resort to emergency measures that would allow a substantial amount of radioactive materials to escape into the air. But the release this week of company documents and interviews with experts provides the most comprehensive evidence yet that mechanical failures and design flaws in the venting system also contributed to delays. The documents paint a picture of increasing desperation at the plant in the early hours of the disaster, as workers who had finally gotten the go-ahead to vent realized that the system would not respond to their commands. While venting would have allowed some radioactive materials to escape, analysts say that those releases would have been far smaller than those that followed the explosions at three of the plant’s reactors, which blew open containment buildings meant to serve as a first line of defense against catastrophe. The blasts may also have been responsible for breaches in containment vessels that have complicated efforts to cool the fuel rods and contain radioactive leaks from the site. In either case, regulators in the United States and Japan will now need to determine if such systems at similar plants designed by G.E. need to undergo expensive and time-consuming retrofitting or redesign to allow them to function even in severe accidents. Dale Bridenbaugh said the "Mark 1" design had "not yet been designed to withstand the loads" that could be experienced in a large-scale accident. Bridenbaugh said that to the best of his knowledge, the design flaws he had identified were addressed at the Daiichi plant, requiring "a fairly significant expense." For millions of people on this planet, the explosion of the fourth reactor of the Chernobyl nuclear power plant on April 26, 1986 divided life into two parts: before and after. On Friday, as Chubu Electric began shutting down a reactor at 10 a.m., Eiichi Nagano, 90, and Yoshika Shiratori, 78, were battling strong winds on the shoreline leading to the plant here. Mr. Shiratori, a leader of the lawsuit, led the way as Mr. Nagano followed with a sprightly gait despite a bent back. The two men scrambled up a dune, stopping only before a “No Trespassing” sign. 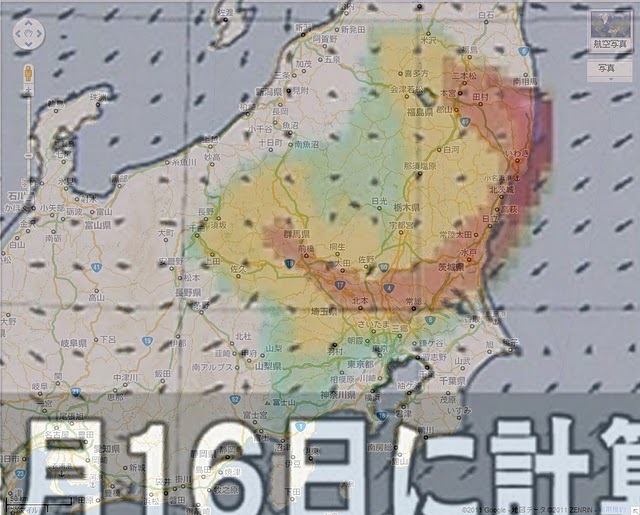 If the bureaucrats in Tokyo do not roll back the radiation limits, children within 80 kilometers of the stricken Fukushima nuclear reactors will be deliberately exposed to radiation levels that boost their risk of cancer for decades to come. Japanese officials have found an Olympic swimming pool-sized pond of radioactive water in the basement of a unit at the Fukushima nuclear plant crippled by the March earthquake and tsunami. When Japan's nuclear industry regulator, the Nuclear and Industrial Safety Agency (NISA), upgraded the severity level of the accident at the plant to a maximum 7 on the International Nuclear and Radiological Event Scale (INES) on April 12, it cited an estimate for the radiation emitted into the atmosphere at 370,000 terabecquerels as the basis for the raise. That means that radioactive water at the No. 2 reactor alone suffices to be classified as a level-7 accident. I cannot possibly accept such a level to be applied to babies, infants and primary school students, not only from my scholarly viewpoint but also from my humanistic beliefs. “We are not seeing a China Syndrome,” Mr. Matsumoto said, using a term coined in the United States in the 1970s to describe a severe nuclear meltdown of the fuel, which could sink into the ground and cause an explosion. The term is a satiric reference to the idea that in such an uncontrolled reaction, the core could burn through the earth. Greenpeace has urged Tepco to abandon plans to flood the container with water, given the likelihood that melted fuel has damaged it. Shaun Burnie, nuclear adviser to Greenpeace Germany, said: "Flooding a reactor that has fuel [that has fallen] through the pressure vessel is not a good idea." Outlining a worst-case scenario, Burnie said very large amounts of cold water hitting the melted fuel could cause an explosion, trigger substantial damage to the reactor and create a "high risk of atmospheric release running for days, if not weeks." He added: "I think [the flooding option] will now be scrapped." John Large, an independent nuclear engineering consultant in London, said Tepco's plan to flood the reactor was riddled with "potential risks". It appeared not to have factored in the extent of damage to the fuel rods and the structural state of the containment vessel, including whether it was watertight. "It seems to be poorly thought through," he said, adding that the firm had not demonstrated that the strategy could work. "We came back after a week. Even though the radiation was frightening, when we saw the cows again we had peace of mind." Japan's prime minister, Naoto Kan, has bowed to pressure from the public and key scientific advisers and asked Chubu Electric to immediately shut down Hamaoka's two working reactors. 〔フクシマＮＥＷＳ〕 「ＳＯＳ！　福島の子どもたちが危ない！」　Please help ! 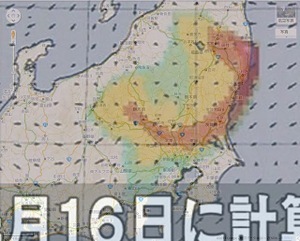 Children in Fukushima are at risk ! Für Kinder in Japan gilt jetzt der gleiche Strahlengrenzwert wie für deutsche AKW-Mitarbeiter. Durch den Grenzwert ist die Regierung juristisch aus dem Schneider - moralisch aber nicht. But Tokyo proved reluctant to expand evacuation areas, despite the urgings of the International Atomic Energy Agency and recommendations by the United States that its citizens stay 50 miles from the plant. In one of his most damaging charges, the adviser, Toshiso Kosako, drew attention to a recent government decision to allow children living near the crippled Fukushima Daiichi nuclear plant to receive doses of radiation equal to the international standard for nuclear power plant workers. That level is far higher than international standards set for the public. “I cannot allow this as a scholar,” said Mr. Kosako, an expert on radiation safety at the University of Tokyo. If you are thinking of supporting us in our path towards recovery, the most effective way would be to visit Japan and buy our excellent products, just as before.